Those of you who keep an eye out on the Solution Saddles website and Facebook page will already be familiar with ‘Edison’, the diminutive event horse and SMART Saddles poster boy who often features in Simon Grieve's Horse & Hound blog. Edison first turned his hoof to eventing as a 5-year-old in September 2014 and, in just three seasons, has progressed up to 3*** level. 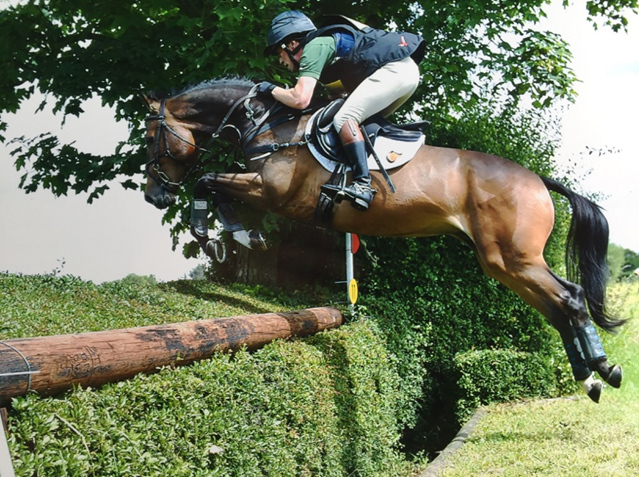 To celebrate his first run at Bramham International Horse Trials this season, we are taking a look back through his career, each step and every jump of which has been taken in SMART Jump and Dressage saddles. 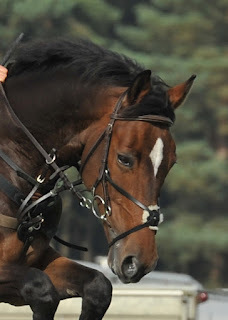 KWPN, born in 2009, by Quasimodo Z out of ‘Wirena’ (Oklund). 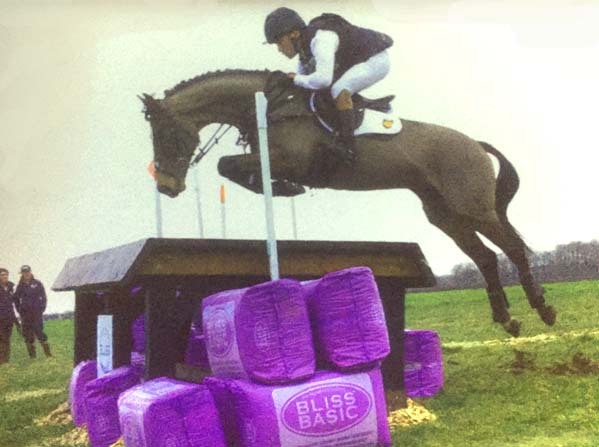 Owned by Dr Anne Bondi (Solution Saddles MD and SMART saddle designer). 2014: Bad ponies go to boot-camp! 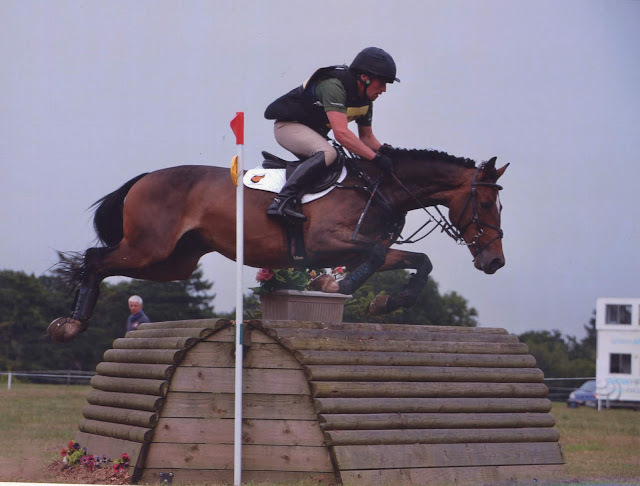 Originally purchased for Anne's husband, David, to event, Ed's talent soon shone through -demonstrating great athleticism and accuracy when it came to dumping David on the floor. 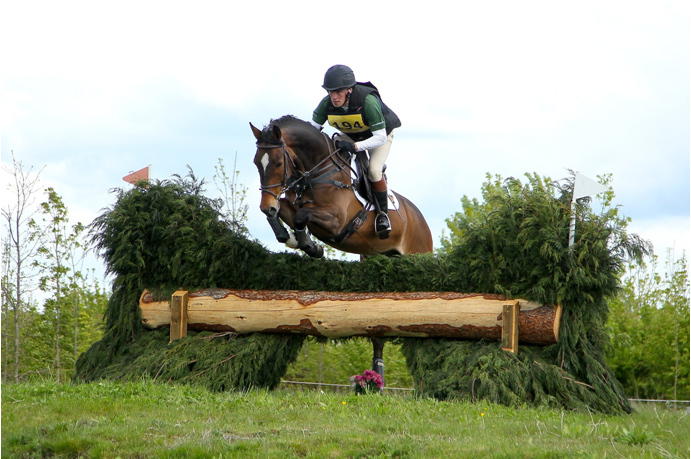 Unwilling to compromise, Edison was promptly packed off to boot-camp with local event rider and SMART Ambassador, Penny Lawn. 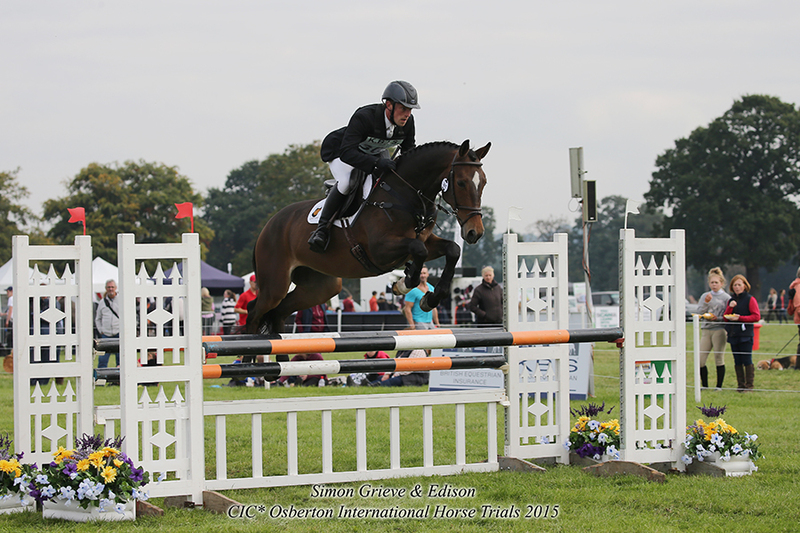 Finishing the season with a double clear for 4th place at Norton Disney Horse Trials, which was his fourth top-10 placing in just his 1st short season. 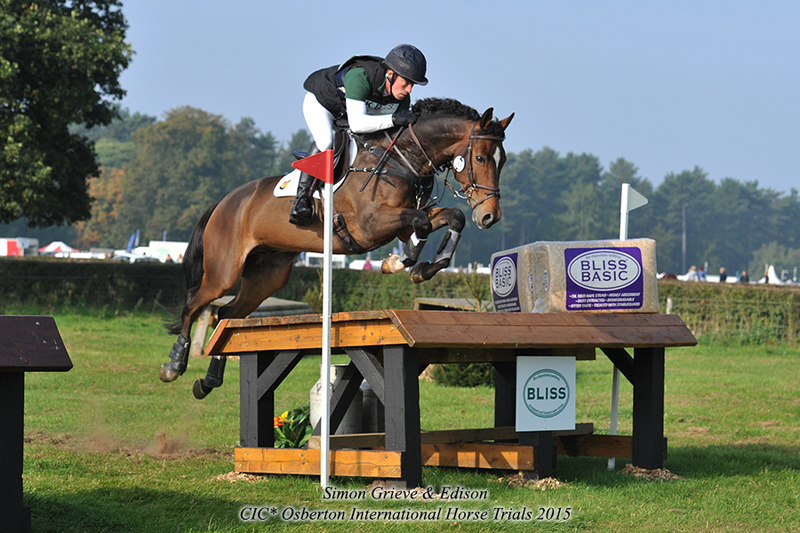 2015: A new jockey and an FEI passport! 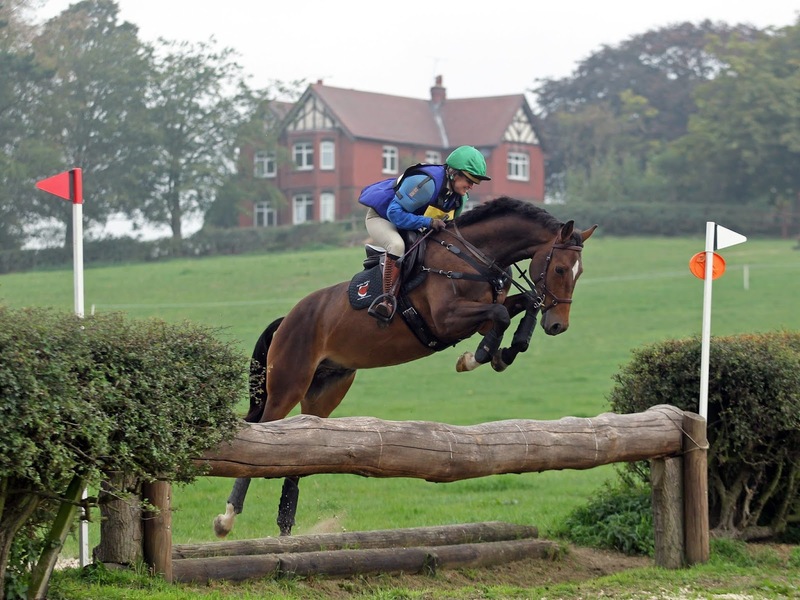 Even with a job to do, Ed let his cheeky side shine through, so to harness this 'joie de vivre', Ed spent the winter hunting over Leicestershire hedges, learning about crossing different terrain and how to dig deep at the end of a long day following hounds. 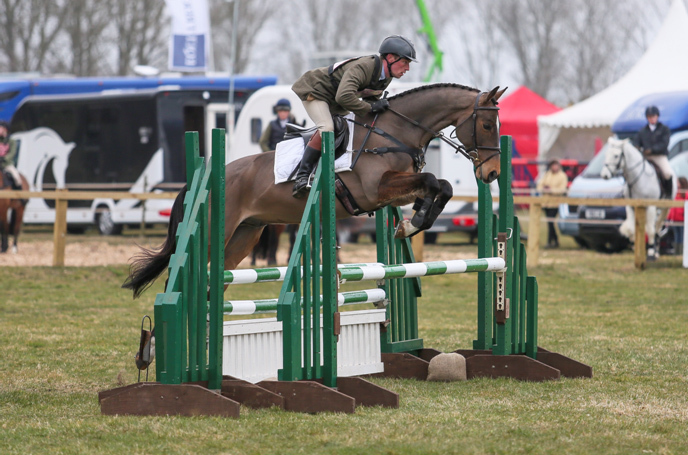 Enjoying life in the Leicestershire Wolds, Ed stayed down there for the start of the 2015 season, where he joined British 4* event rider, Simon Grieve's yard. 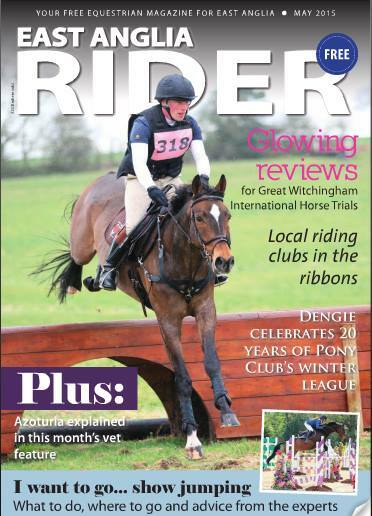 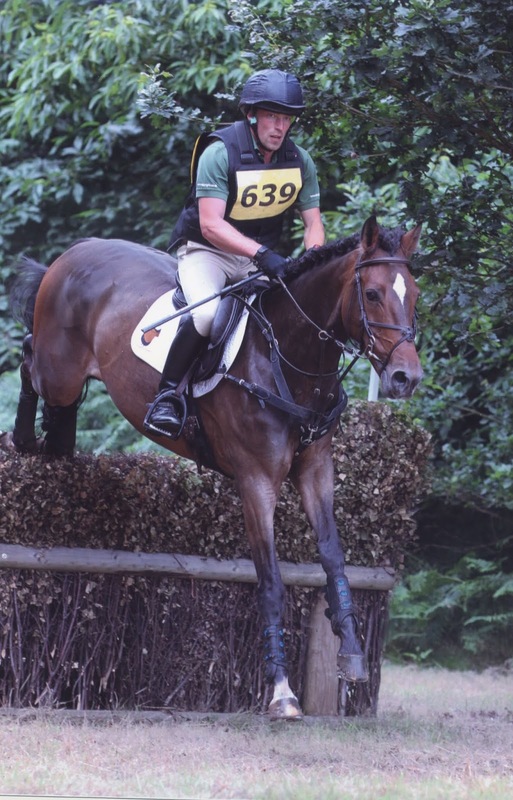 Already forming a strong partnership, on just their 3rd run of 2015, Ed & Simon WON their BE100 section at Great Witchingham International Horse Trials, earning themselves front cover of 'East Anglia Rider' magazine and signalling the time to move up to Novice... not bad for a rogue pony! 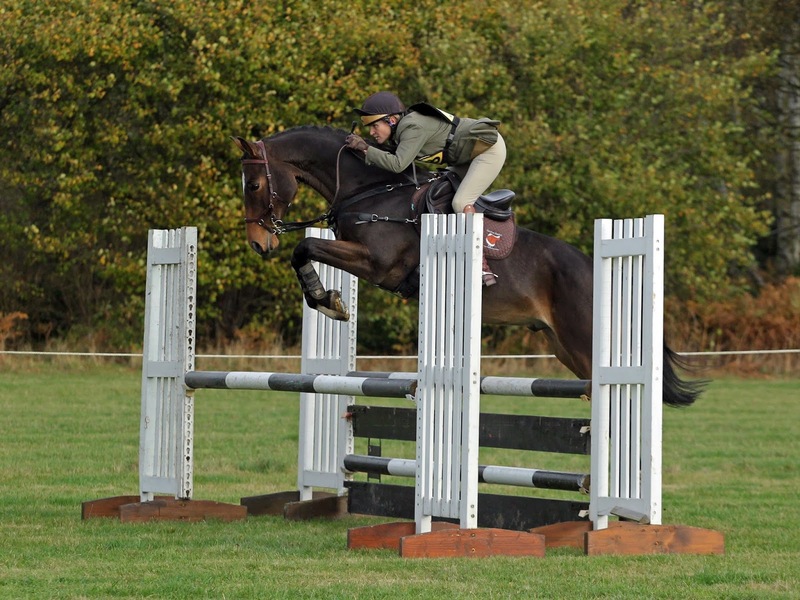 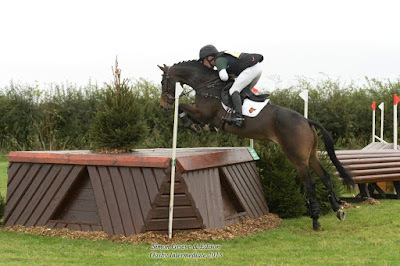 Ed confidently stepped up to the plate, recording another super double clear and his very first BE point at Burnham Market Novice, before consolidating his skills over the next few events at this level. Although the jumping part came easy, Ed remained unconvinced about the dressage phase, which kept them out of the placings at this level for the first half of the year. 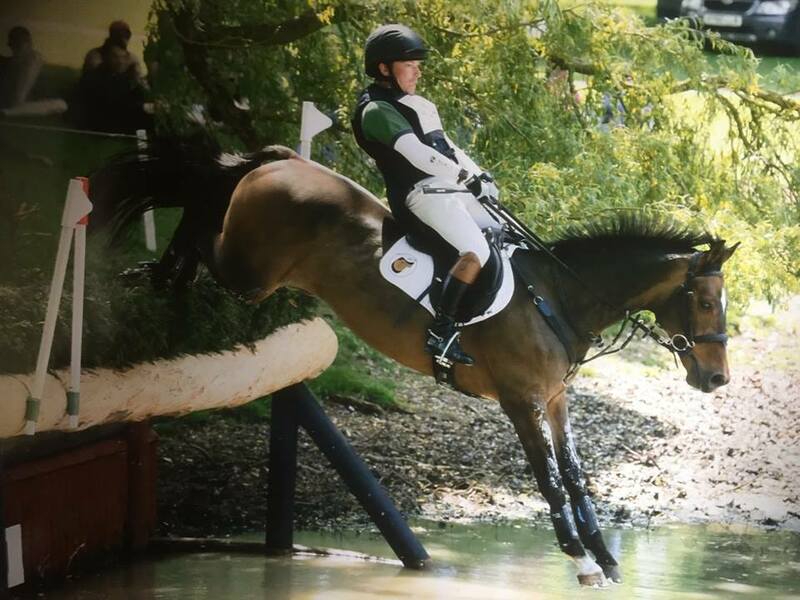 That was until Smith's Lawn in August 2015, where Ed let his guard down, pointed his toes and recorded a sub-30 dressage score, followed by another customary double clear to WIN his section. Ed was starting to look like a real event horse..! 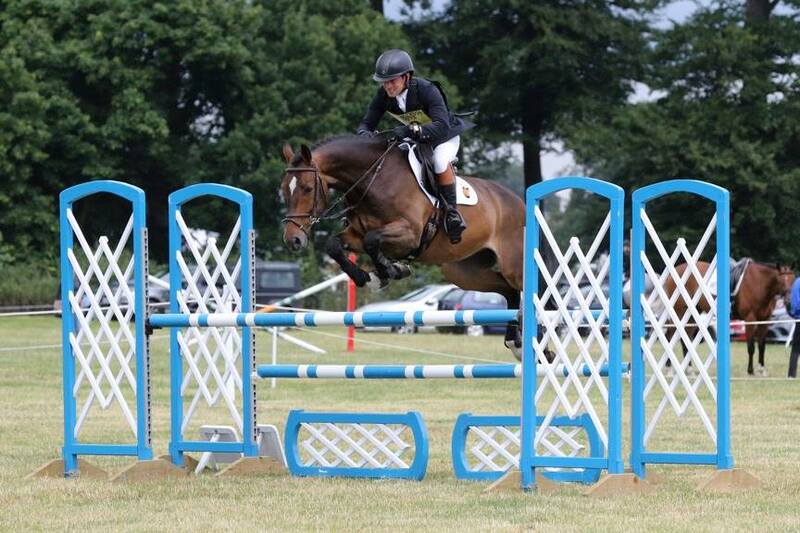 With 2 wins and numerous double clears under their belts so far in 2015, Ed was targeted at the Osberton International Horse Trials 6yo CIC* Championships that Autumn. True to form, Ed coasted through the dressage test - no doubt making Simon work harder than himself - but, powered by his SMART PRO Jump saddle, he jumped 2 super rounds, holding his own against some of the best six year old event horses in the country. 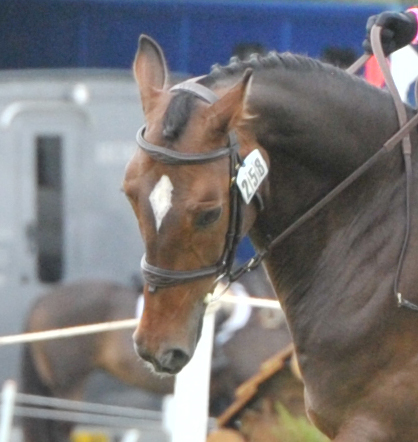 2016: Introducing the 8th best 7-year-old event horse in the country! 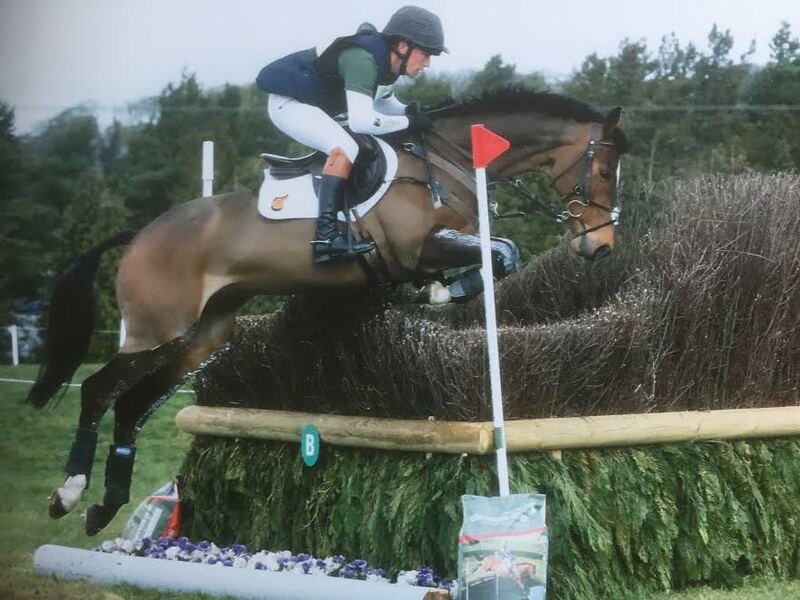 Now a fully fledged event horse, Edison only needed 7 runs in 2016 to prepare him for his next big championship competition. 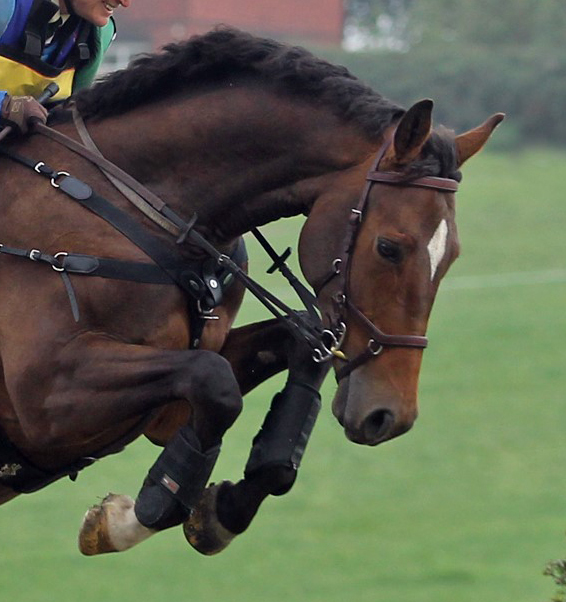 Simon piloted Edison in 6 of these runs, before a nasty rotational fall from another horse he was competing saw him out of action for the rest of the season. 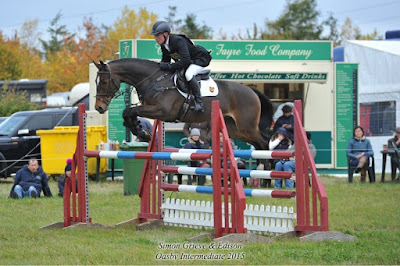 The decision was made to move Ed to Izzy Taylor's yard, for her to compete him whilst Simon was rehabbing his dislocated shoulder. 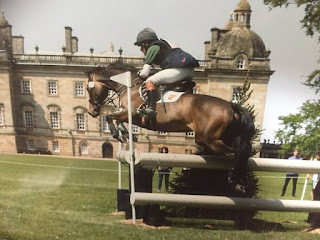 After a short period getting to know one another, the new combination went for a school around the Intermediate at Allerton Park, in preparation for the Young Horse CIC** 7yo Championships at Osberton at the end of the season. Despite having limited time to acclimatise to one another, Izzy piloted Edison to a convincing double clear at his biggest competition to date. In amongst top riders' rising stars such as Billy Walk On (Pippa Funnell), Vendredi Biats (Kitty King) and Little Fire (William Fox-Pitt), Edison finished on his dressage score to come 8th in a very hotly contested championship, earning himself a very nice rosette, some more BE points and a well-deserved Winter break. 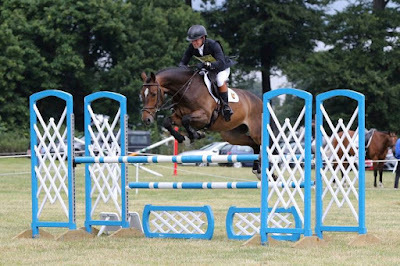 It's not unusual for the creme-de-la-creme of Event horses to move up to Advanced level at 8 years old, but it is unusual for a croup-high, overgrown pony to succeed at any level in the sport, let alone keep up with their peers throughout the age classes. However, as with all his accomplishments to date, in 2017, Edison would prove to everybody that you don't have to fit a mould to succeed; with a talented jockey, a fully flexible sports saddle and a whole lot of jump, great things can happen! 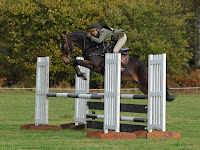 With the end of the season looming, another challenge awaited Edison: the prestigious CCI*** for 8 and 9 year old horses at Blenheim Palace International Horse Trials - a competition brimming with savants of the equine world and, nestled in amongst them, little Edison with his flexible SMART PRO saddles. 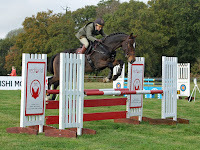 But, all was forgiven as soon as it came to the jumping phases! 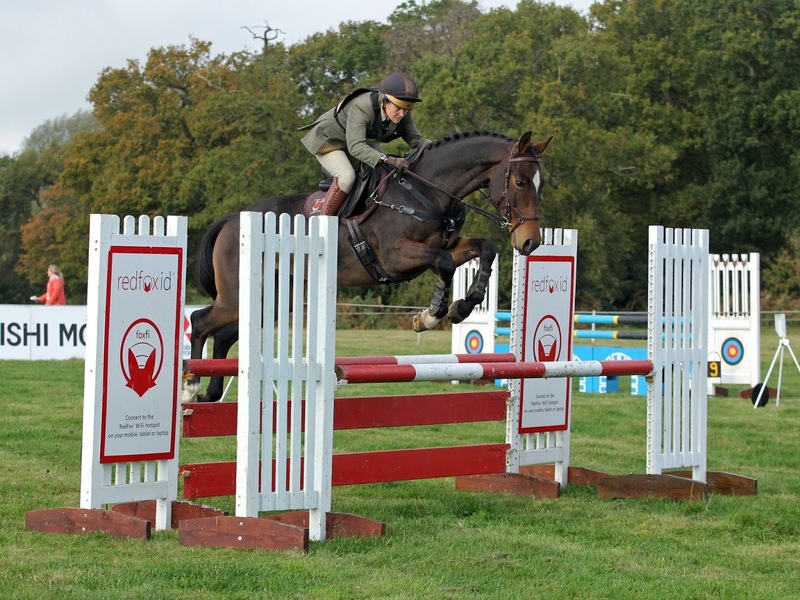 Ed jumped his socks off around his very first 3*** to finish with a double clear! 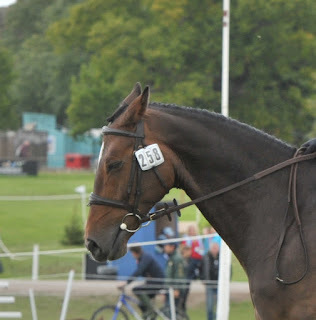 One of Simon's grooms, Maggie, getting Edison ready to go home for a well earned rest after Blenheim 2018 ! 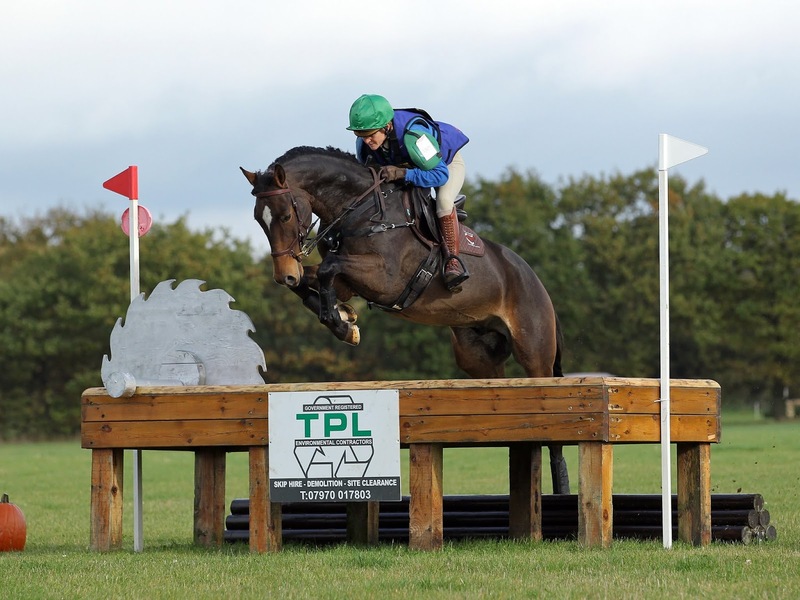 When it comes to event seasons succumbing to the Great British weather, 2018 has to be up there with the worst of them. 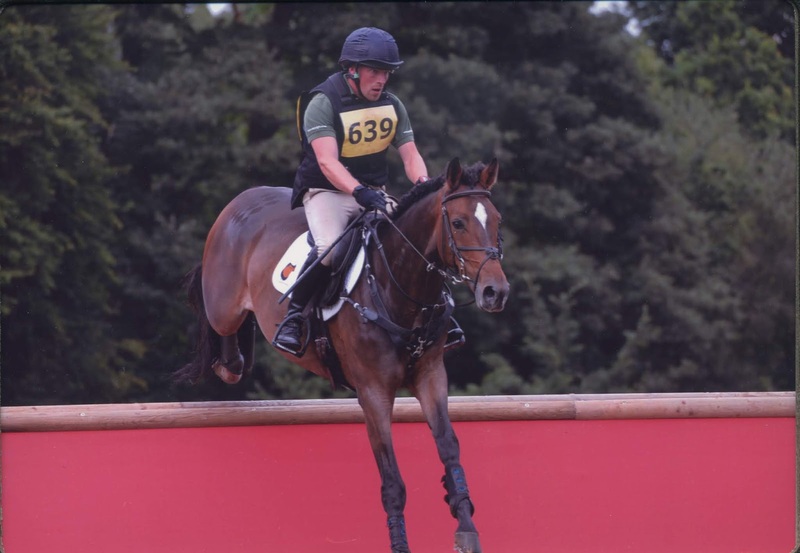 With seemingly never ending rain and water-logged ground claiming the start of the season, followed by an almost unprecedented heatwave from June onward, the number of viable runs open to Simon and Ed have proven limited this year. 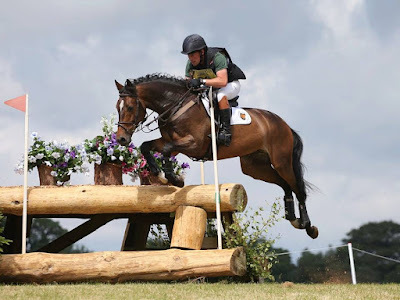 Despite this, the duo have continued to both progress and impress, with two CIC*** completions highlighting their 5 runs this season: Houghton International Horse Trials and, one of the most well loved and prestigious events in Britain, Bramham International Horse Trials. 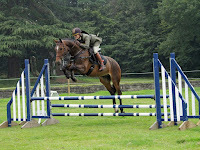 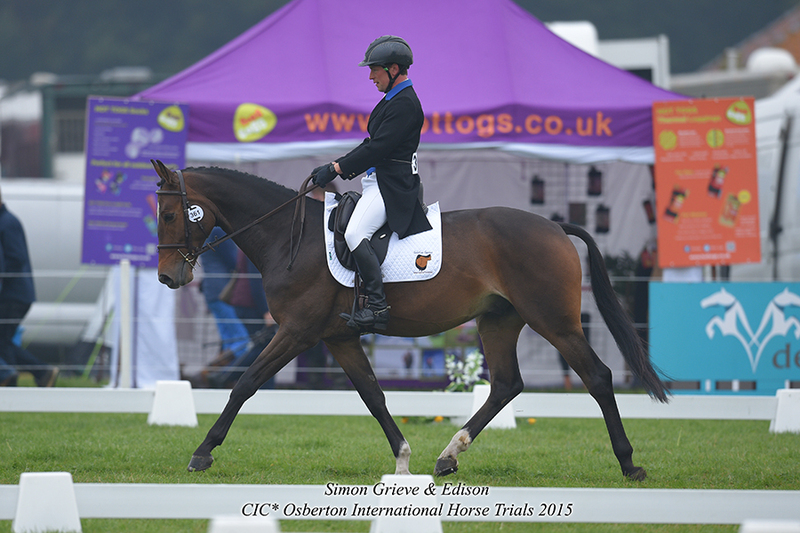 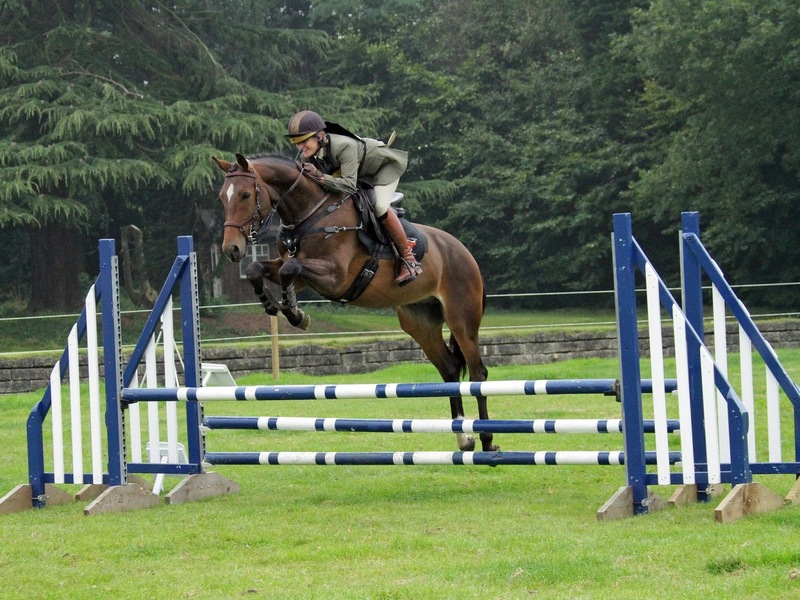 The CIC*** at Houghton proved a tough track, with plenty of horses and riders not completing. But, hampered only by Ed's attitude to dressage - and perhaps the amount of time he spends in the air over a fence - Simon and Ed happily popped around to complete their second 3*** together. 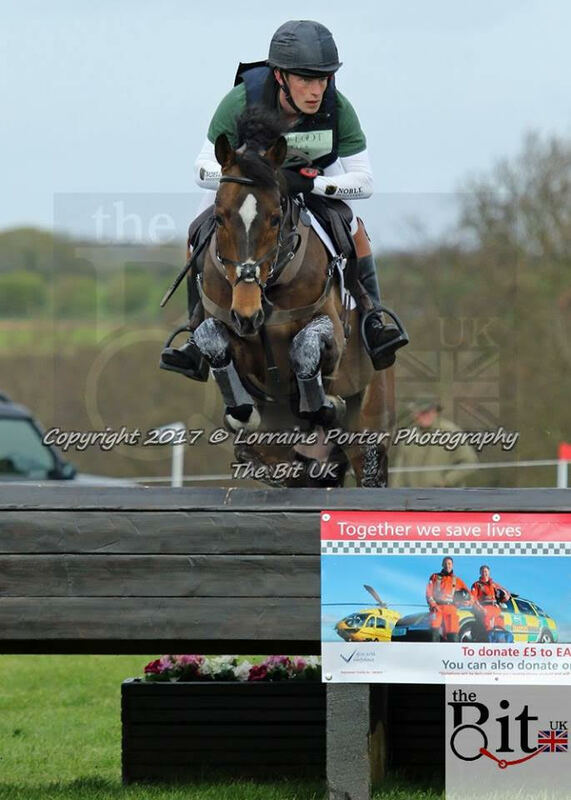 Judging by the video (below), Ed was keen for the challenge as he left the start box..! Bramham Horse Trials is considered to be one of the best events on the circuit, not only for it's beautiful grounds and old-fashioned bold, galloping courses, but also for its buzzing atmosphere. 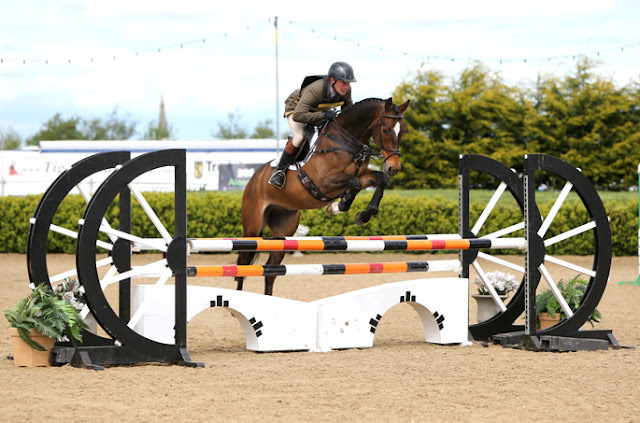 It has been a venue for important events such as Olympic trials as well as the exciting Event Rider Masters series, so it seemed only right that Ed would get to showcase his effortless jumping style and much-loved SMART PRO saddles at such an important venue. Dressage: the less said, the better. 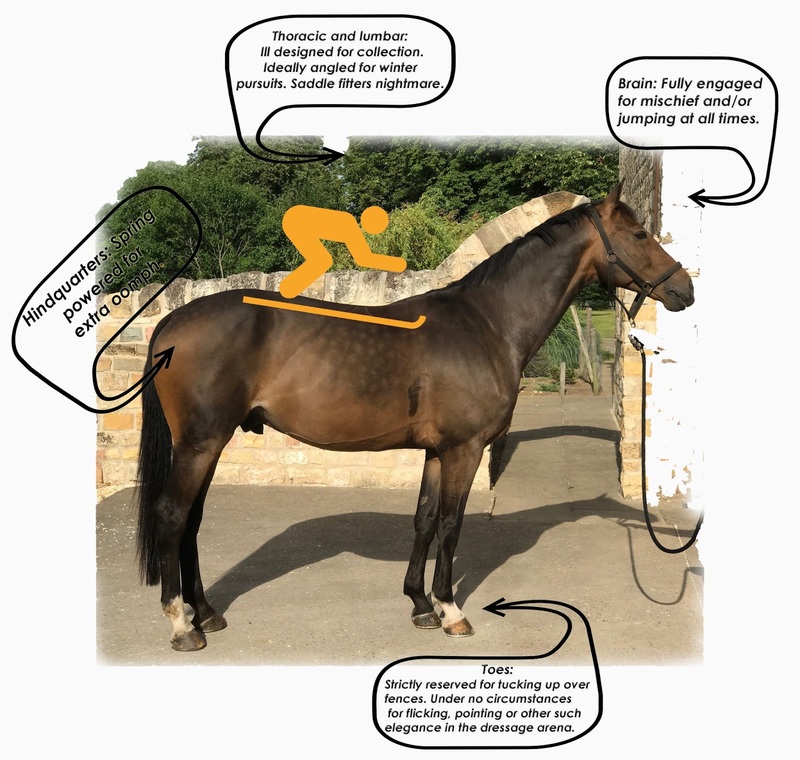 Just because Ed benefits from full freedom of movement and a happy, healthy back courtesy of his SMART PRO Dressage saddle, it does not mean that he is prepared to demonstrate this positively to the world when within the white boards. We'll leave it there. Show Jumping: Of the 97 horses that competed, only 17 produced clear rounds in the Show Jumping, illustrating just how tough the track was. 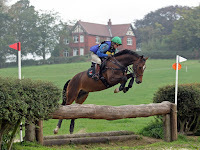 Ed had 2 poles down, which although unusual for him, was perfectly respectable and set him up well for the greater task of Cross Country later that day. Watch and learn: Edison inspires the next generation as he jumps one of the iconic London 2012 jumps at Bramham International Horse Trials 2018. 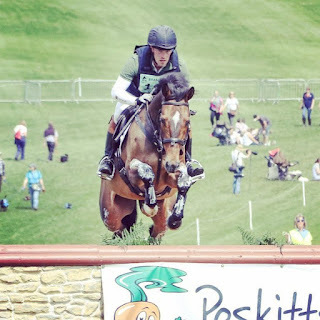 Although Bramham was Ed's last run of 2018, we are all looking forwards to seeing what 2019 has in store for him!